Tree House Academy is looking for experienced teachers who have a great passion for teaching. They offer a competitive salary and they are willing to match offers for qualified teachers. The ideal candidate will have a BA in Education or related field and at least one of experience teaching English in Taiwan. Apply now! Read: Are There Any Differences Between TEFL and TESOL Methodologies? 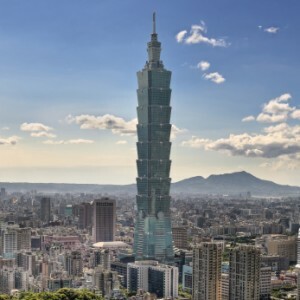 Teach English to children in Taipei with Alexander Academy. The school offers a competitive salary, bonus, work permit, and more! Contact Sophie Wu at [email protected] for more information. College or university degree, energetic and ability to motivate children to learn English as a second language, the flexibility and readiness to cope with changes. TEFL/TESOL mentoring, teaching or coaching experience is preferred. Prior knowledge of Chinese is not necessary. Benefits include: Free airport pick-up; paid training; $NT 610/teaching per hour for a guaranteed of 20 teaching hours with yearly increases; assistance finding suitable housing and visa processing; health insurance. 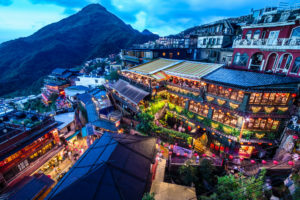 Come and enjoy the Taiwanese culture including local festivals, tai-chi, hot springs and much more! Our small and well-established school is seeking teachers who are ready to start their teaching career in Taiwan. Set curricula with assistant teachers, and Mandarin lessons. Benefits include: work visa support, lunch and a snack provided by the school, monthly salary, health insurance, a bicycle to get around the city, and free accommodation provided within walking distance of the school. Must be a native English speaker, have a bachelor’s degree, hold a passport from the UK, Australia, Canada or New Zealand, South Africa or the USA, be able to commit to a one year contract, and be physically and mentally healthy. Learn more and apply today! YG Expert is currently seeking experienced and trained teachers to fill the various full-time positions available. YG Expert has opportunities in the public school system as well as in the Wonderland program which is 100% activity based. We offer: a reimbursement on your return flight, modern classrooms, friendly work environment, job stability (one and a half year contract), contract completion bonus and a competitive salary. Requirements: TESOL certified, BEd and native English speaker. Find out more and apply today!